Come experience this one of a kind, completely renovated custom monterey courtyard home. 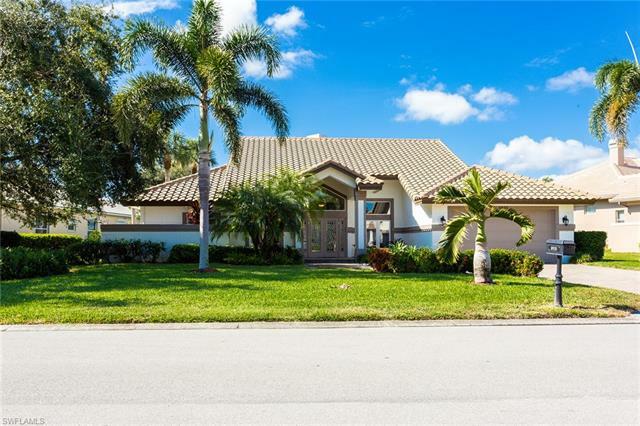 This four bedroom, three full bath private estate smarthome, located in the highly desirable double gated majors at lely resort, is truly in a league of its own. This home is beautifully enhanced with exquisite finishes throughout, which include coastal tile wood plank floors, new custom cabinetry, natural quartzite countertops, elegant chandeliers and ceiling fans, and multilayered crown molding. It offers stainless steel appliances, new bathrooms, led lighting throughout, enhanced landscaping, new hvac systems and pool equipment to name a few. The courtyard area offers a full private guest suite to go with new shell stone travertine pool decking along with a new custom heated salt water pool with infinity waterfall spa and outdoor kitchen. Enjoy the highly renowned players club and spa which offers resort style swimming pools with waterfalls, state of the art tennis facility, 3500 sq. Ft. Fitness center, restaurant, tiki bar, theater room, and spa. Lely resort is also home to three championship 18 hole golf courses. Enjoy panoramic lake views. 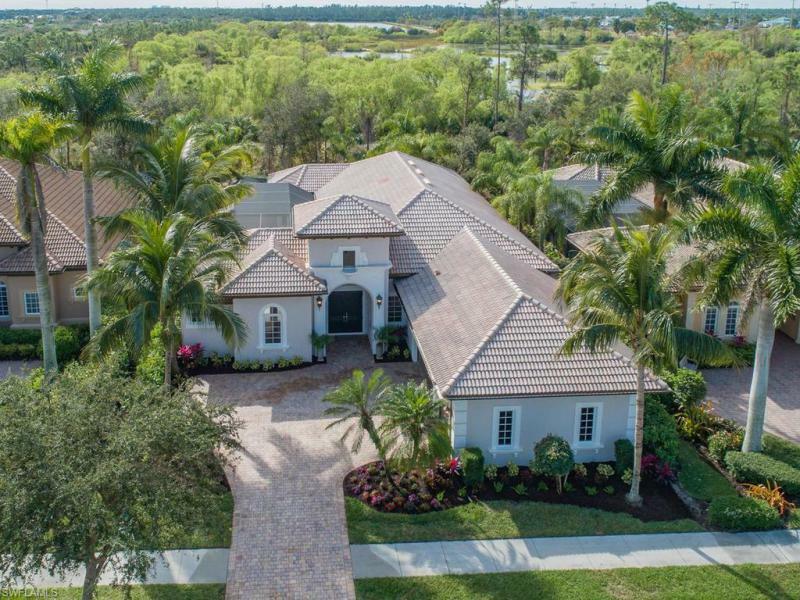 This nicely appointed lely island estates home was completely upgraded (2014) by popular builder robert lundstrom. Total upgrades top over $400,000. This 4 bedroom, 3 & bath home includes a working wood fireplace, impact glass, new roof, stainless steel appliances, upgraded flooring throughout, 2 car garage, custom window treatments, volume ceilings, large heated pool, granite countertops, brick pavers driveway, air-conditioned garage, speakers in all rooms, central vac, full summer kitchen, solar panels, insulated garage, electric screen shutters, custom painting and more. Another perfect home for entertaining family and friends for all occasions. Players club & spa membership (optional) is available to buyers as well as golf membership choices. A close-to-everything location in naples, florida, this luxury real estate community has three championship golf courses, the players club & spa and a cosmopolitan atmosphere amid lush natural surroundings have made lely resort golf & country club one of the most sought-after naples communities. This popular ruffino floor plan has 4 bedrooms, 3 bathrooms, two walk in closets in the master bedroom plus so much more. Also enhanced outdoor living space with an awesome golf course view. Built by stock in 2007 with a 10' expanded lanai and 10' front set-back on an oversized private lot. The open floor plan features an oversized kitchen island; volume tray ceilings with molding, 8' doors, windows and sliders. Complete new air conditioning november 2017. Washer 2018, the interior and exterior painted 2017, new pool motor pump and pool heater pump both spring 2018. Just bought all new furniture 2017-2018 and lanai pavers cleaned and sealed. Homeowners are members of the players club & spa featuring resort pools, full service dining, indoor/outdoor bar, bocce, 13 tennis courts, a full service spa, fitness center plus the friendliest tiki bar in town! You also have the option to join the classics golf club or play the 2 public courses in lely resort. Classics members may opt out of the players club. You will fall in love when you arrive at this wonderful home. An elegant foyer welcomes you into the open and spacious great room of this rarely available jasmine plan with exceptional architectural elements, including the 14-foot coffered tray ceilings with recessed lighting to show off the crown molding and provide a bright and open feeling. The kitchen is a gourmet's delight and includes exotic granite, a bosch 800 series dishwasher and a 36-inch top-of-the-line bosch induction cooktop. Accent lighting and a unique chef's cabinet is included. This home has impact glass and custom window treatments throughout along with fanimation designer fan and lighting units. Additional lighting components also enhance the gracious living environment. You will also find exceptional flooring and upgraded hardware throughout. Telescoping doors allow for wonderful entertaining in the inviting and private pool and spa area, your own retreat. The players club & spa is the final element in making this gorgeous home in martinique a dream. Minutes from the shops, galleries and restaurants of old naples and marco island and with three spectacular golfing options, lely resort cannot be beat. H. 12877 new price and new face! 6916 anthurium lane!! Incredible two story custom built arthur rutenberg floor plan is located in the charming chatham pointe section of tiger island in lely resort. Quiet cul-de-sac home tucked just the other side of a berm of banyan trees. Two stories of pool screen and sliders and windows allow for views of water and golf course from either level. Open floor plan melds kitchen, dining and living areas and spills onto lanai. Kitchen has large island with plenty of room for family and friends and a gas cooktop with down draft vent and designated lp tank, subzero refrigerator, whole house water purifying system and 250 gal lp tank for whole house generator. Pgt 2003 impact windows and sliding doors (only decorative front door has manual shutters). Main level includes one bedroom and one full bath along with living areas. First level is open to second floor loft with sitting space, study or play area. So much to offer. No membership required to purchase this beautiful home. Located near the end of a private cul-de-sac in the gated community of mustang island at lely resort, this charming southern exposure turnkey furnished monarch floor plan, 4 bedroom home has the expansive view and sunshine you are looking for. This clean, rarely used home, has a custom built pool and spa with the added protection of rear electric roll down hurricane shutters on the large covered lanai. Enjoy the highly renowned players club and spa which offers resort style swimming pools with waterfalls and kids area, state of the art tennis facility, 3500 sq. Ft. Fitness center, restaurant, tiki bar, pool room, theater room, and spa. Lely resort is also home to three championship 18 hole golf courses. Lovely 4 bedroom pool home being offered turnkey furnished in desirable mustang island lely. Heated pool and spa are screen enclosed. Lovely view of golf course and lake. Home features volume ceilings, extended tile floors, large outside screen enclosed living area, 2 car garage, spacious rooms, gated security, nice garden and more. Excellent location, close to shopping, restaurants, golf course, marinas, beaches, and the local exclusive players club and spa. Value priced and an exciting opportunity.